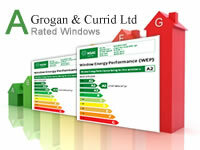 All our windows come with full NSAI A-Rating (agrément certification). 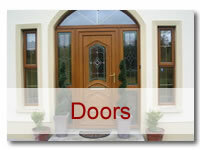 Save energy, improve security and bring individuality to your home. We have several options for your requirements from double glaze to triple glaze or even quadruple glaze. 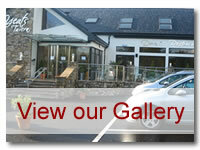 Please call and consult our window designers who will be delighted to work with you and consider any ideas you may have. 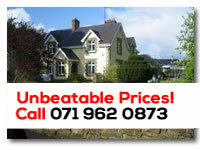 All our windows are fitted with high insulation gas filled glass units giving excellent U-values and lowering fuel bills. Each opening is fitted with draught proofing seals inside and out providing a snug fit, which eliminates draughts and reduces noise. A 24mm double-glazed sealed unit provides further heat and noise insulation. 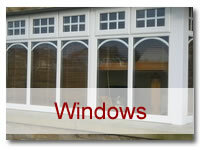 Low emmisity coating forms the inner pane of a double glazed unit and allows less heat to escape through your windows. This energy saving, low emissity coating allows the sun's rays in and also reflects heat from fires and radiators back into your home. Thus you can turn your thermostat down and reduce your heating bill still further. 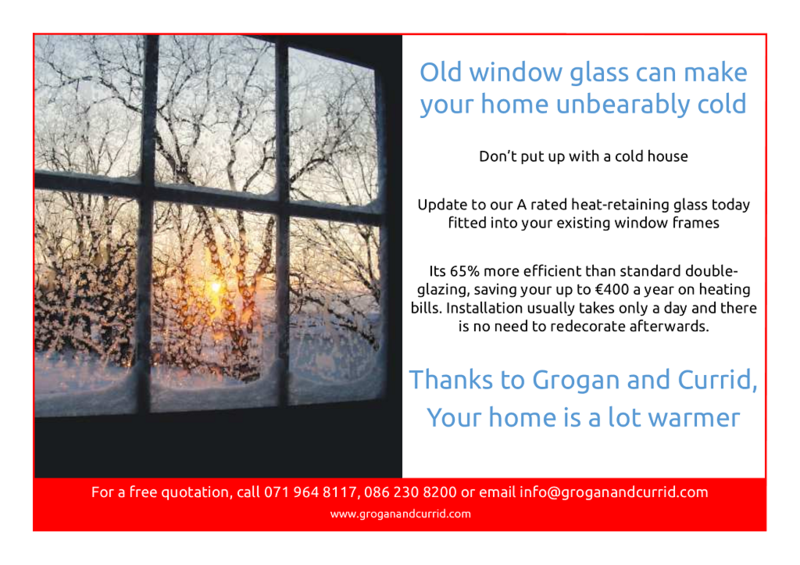 Installing Grogan & Currid toughened/laminated glass will prevent glass being easily smashed. 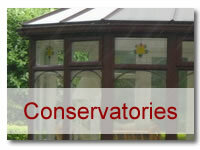 Similar glass is used in large shop windows.